Derrick Woodham, Professor of Fine Art, College of Design, Architecture, Art and Planning, University of Cincinnati. Derrick Woodham was born and educated in Great Britain, graduating from the Royal College of Art in 1966. He represented contemporary trends in British sculpture in many group exhibitions which traveled extensively in Britain, Europe, the United States and Japan. He was awarded the Prix de la Ville de Paris at the Paris Bienalle in 1965, and served as a member of The Arts Council of Great Britain before coming here to live in 1968. Since then he has taught fine art at the Philadelphia College of Art, the University of Iowa, and the University of Kentucky, moving to the University of Cincinnati as Director of The School of Art from 1980-95, where he is currently a professor of fine art teaching sculpture and electronic art. Professor Woodham participated in many group and touring exhibitions since moving to the United States, including "Primary Structures" at the Jewish Museum, New York; the National Drawing Exhibition, 1969; the National Sculpture Exhibition, 1976. One-person exhibitions in the US include shows at the Jewish Museum, Richard Feigen Galley and J H Duffy and Sons in New York, and the Ad Libitum Gallery in Amsterdam. Since moving to the midwest, he has continued to work as a sculptor. More recently he completed two large scale commissions for the headquarters building of Cincinnati Gas and Electric Company in Ohio. He began to model his sculpture on the computer in 1993, and plans to produce sculpture based on these designs in the future. He first encountered Alphaworld 1n 1995, while searching for venues to present virtual reality models of sculpture on the internet, and has since installed exhibitions of his own work, and sculpture created by his students, in DAAP, the Active Worlds on line educational zone of the College of Design, Architecture, Art and Planning at the University of Cincinnati. Gerhard Schmitt, Dr.-Ing., M.Arch., holds the Chair for Architecture and CAAD at the Swiss Federal Institute of Technology, ETH Zürich. He offers courses in design computing and programming with emphasis on new design methods and media. He has previously taught Computer Aided Architectural Design at Carnegie Mellon University and as a visiting Professor at Harvard University. Schmitt has established a new CAAD curriculum and infrastructure at ETH Zürich. He was President of the Informatikkommission of ETH Zürich from 1989-1996 and Dean of the Faculty and the Department of Architecture for the academic years of 1994-1996. He is the founder of the Architectural Space Laboratory at ETH, where he and his junior faculty research group develop a virtual design environment for architecture. His main research interest is the development of intelligent design support systems. Schmitt has authored and edited several books, the latest being "Architectura et Machina" and "Architektur mit dem Computer", as well as numerous research papers. Since 1997, he is President of the Swiss Computer Graphics Association. Hani Rashid received a Master of Architecture from the Cranbrook Academy of Art in 1985. In 1987 he founded Asymptote Architecture in New York with Lise Anne Couture. Hani Rashid has been invited to teach and lecture at numerous venues including the Royal Danish Academy in Copenhagen, the Southern California Institute of Architecture in Los Angeles, the University of Lund, Sweden, the Graduate School of Design at Harvard University and the Stadleschule in Frankfurt. Since 1989 he has been a Visiting Associate Professor of Architecture at the Columbia University Graduate School of Architecture, teaching upper level Digital Design Studios. Rashid's work is included in the permanent collections of the Museum of Modern Art in New York, The San Francisco Museum of Modern Art, and has been exhibited extensively. He has received numerous awards and grants including Thirty under Thirty in 1989, the Canada Council for the Arts in 1990, New York Foundation of the Arts in 1992 and Forty Under Forty in 1995. A monograph entitled Asymptote: Architecture at the Interval was published by Rizzoli Inc. in 1995. John Tiffin is a communications specialist in the design and evaluation of instructional system. He has a particular concern for the applications of new information technologies to learning. As a consultant, John Tiffin has served the governments of New Zealand, Britain, Brazil and Ethiopia, the Organisation of American States, the World Bank, the International Telecommunications Union, the Academy for Educational Developments, the Centre for Educational Developments Overseas, and UNESCO. He has been a school director, a television producer and a researcher and is the co-founder of the Network College of Communications in the Pacific (NCCP). John Tiffin is a citizen of New Zealand and the United Kingdom. He is a graduate of the University of Leeds, and has a Masters from Liverpool University and a PhD from Florida State University. He holds the David Beattie Chair of Communications at Victoria University of Wellington, New Zealand. Marcos Novak is a transarchitect, artist, and theorist investigating the tectonics of technologically augmented space. Widely regarded as a pioneer of virtual architecture and as the leading proponent of the idea that virtual environments constitute an autonomous but fully architectural space in a new, unprecedented non-local public domain, he is the author of numerous publications on the poetics of cyberspace and has the originated the internationally recognized concepts of 'transarchitectures', 'liquid architectures', 'extreme intermedia' and others. His work seeks to combine non-Euclidean conceptions of space with aspects of algorithmic emergence and morphogenesis. He lectures worldwide and is Visiting Associate Professor of Architecture at UCLA. 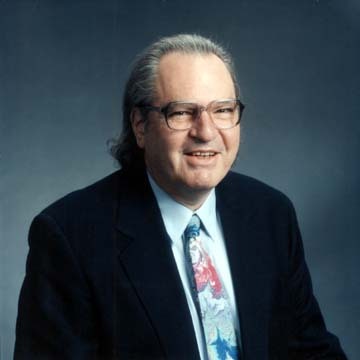 joining NJIT in 1973 he has been active in research concerned with the development of Computer Mediated Communication Systems to improve human communication. Harasim, Linda, Hiltz, Roxanne, Teles, Lucio, & Turoff, Murray, Learning Networks: A field guide to teaching and learning online, MIT Press, 1995. Hiltz, S. R. & Turoff, Murray, The Network Nation, Revised Edition, MIT Press, 1993, original edition, 1978, Addison Wesley. Linstone, Harold & Turoff, Murray editors: The Delphi Method: Techniques and Applications, Addison Wesley Advanced Book Program, 1975. This is considered the standard reference text for those interested in doing Delphi studies. Turoff, Murray, Virtuality, invited paper for special section of CACM, Volume 40, Number 9, September 1977, pp. 38-43. Turoff, Murray, Costs for the Development of a Virtual University, JALN, Journal of Asynchronous Learning Networks, volume 1, Issue 1, March 1997, url: http://www.aln.org Turoff, Murray, & Starr Roxanne Hiltz, (1995) Software Design and the Future of the Virtual Classroom, Journal of Information Technology for Teacher Education, Volume 4, Number 2, 1995, 197-215. Turoff, Murray, (1989), The Anatomy of a Computer Application Innovations: Computer Mediated Communications (CMC), Journal of Technological Forecasting and Social Change, Volume 36, 107-122. Invited paper for 20th Anniversary Issue. 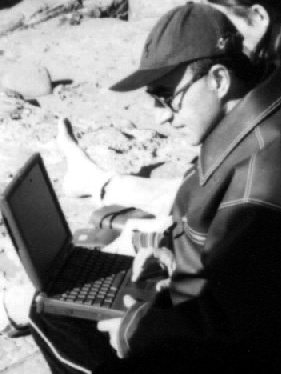 Turoff, Murray, (1990), Computer Mediated Communication Requirements for Group Support, Journal of Organizational Computing, Volume 1, Number 1. Turoff, Murray, (1985), Information & Value: The Internal Information Marketplace, Journal of Technological Forecasting and Social Change, Volume 27, Number 4, July, 357-373. Stuart Gold studied architecture at North London Polytechnic and practiced as an architect for five years, specialising in the development of computer aided design systems for use by architects. 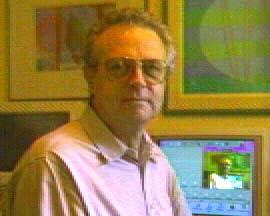 In 1982 He left mainstream architecture to establish a company that provided public videotext information on British Telecom's Prestel service. Eight years ago he began his consultancy with Julian Bauer, Bauer Gold Associates, offering bespoke database solutions. In the past year he has begun to specialise in the provision of corporate data over the Internet, and to explore the new technology of virtual environments. He is a member of the Contact Consortium and as Campus Architect he is responsible for developing TheU. Working in colaboration with SRT Enterprises he is actively involved in the implementation and judging of this competition.